In 1994 the Suncoast Company, an NYSE listed manufacturer of Melamine dishes and the third largest vendor of commercial tableware was actively searching for a partner with which to jointly develop a line of Fiberglass food trays. Transmark’s familiarity with an Israeli Fiberglass manufacturer with experience in food tray design and fabrication led to a joint design and manufacturing venture that required extensive interaction between the American and Israeli companies and their respective managements, engineers, design teams and production experts. 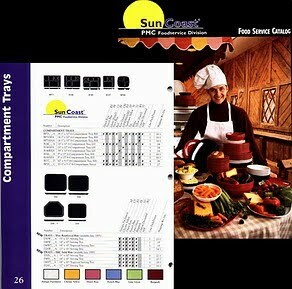 During two years of product development, Transmark supervised and facilitated the execution of every interactive process between the two companies including the financial, technical, design and fabrication team work that was required to successfully add eight new products to Suncoast’s Foodservice Catalog. Vapor Products, an Orlando, Florida based family owned mid-sized manufacturing company produced a line of Mildew suppressants and dehumidifying agents. In 1993 Transmark's joint venture experts met with the Chairman of Sano, Israel's largest supplier of household cleaning and maintenance supplies. Sano, known for its competitiveness, was stymied by a large competitor that was successfully marketing a Swedish manufactured dehumidifying Tray. Transmark was requested to assist in identifying a competing product in the US. After a significant research effort, Transmark learned that Vapor had, in the past, manufactured a Tray similar to the Swedish product. The finding prompted an eigt month process during which Transmark managed the mutual development of a Vapor manufactured Dehumidifying Tray for Sano. Vapor which had all but given up on the product revived its production line and for more than seven years supplied Sano with an American made tray that successfully competed and ultimately replaced the competing Swedish product. Springs Industries is the largest manufacturer of home textiles in the United States. 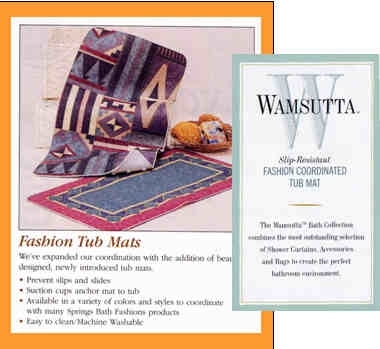 In 1995 the company found tremendous interest in a technology developed by an Israeli company by which fabric is fused to plastic in an innovative manufacturing process. The Transmark Corporation was appointed to manage a multi-year process during which Springs and the Israeli manufacturer jointly developed a range of bathroom accessories for the American market. Transmark was responsible for managing the negotiations phase, facilitating communications between design and technical teams, and supervising production and delivery schedules. Springs matched the new products to their shower curtain designs and introduced them with great fanfare to the public during the Fall Textile Market Week in New York. In 2000, Transmark successfully partnered an Israeli commercial wheel manufacturer and Colson Caster Corporation, the largest Caster vendor in the world. The Israeli company had developed a commercial caster entirely manufactured from plastic. Colson was searching for an entirely plastic caster for its future plastic shopping cart solution. The two companies embarked on a joint R&D and manufacturing venture, mediated and facilitated by Transmark. The project’s various business and technical processes were monitored and in many cases streamlined by Transmark’s intervention on both communicative and collaborative levels. By 2003 Colson was prepared to begin marketing the Israeli manufactured all plastic casters.